A 4.1-magnitude earthquake struck San Bernardino County on Wednesday, according to the U.S. Geological Survey, and it was felt around Southern California. According to the Los Angeles Times, no damage was reported, and there were no injuries. The quake took place at 9:57 a.m. local time, and it had a depth of 6.2 miles. 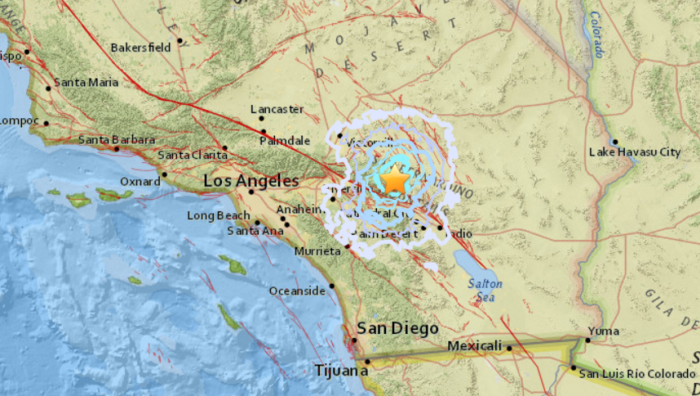 Specifically, it hit about 11.2 miles southeast of Big Bear City, the USGS said. Big Bear City is located about 100 miles east of Los Angeles. In an update from the USGS about an hour later, the quake was downgraded to a 3.9 on the Richter scale.